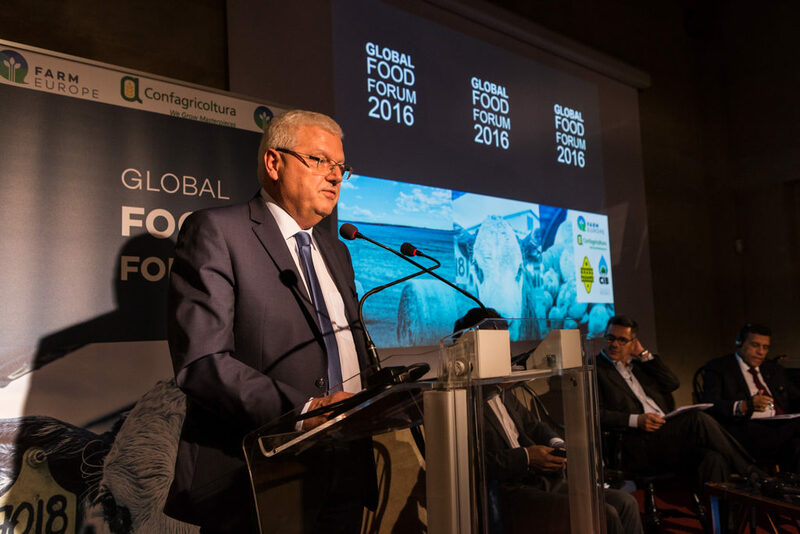 This weekend, more than 200 representatives from 18 different EU Member States participated in the Global Food Forum, which took place on a farm close to Pavia (Italy). Economic leaders, representatives of EU institutions and governments reflected, together, on the future challenges and the need of a renewed vision for the agricultural sector based on economic ambition, trust and mutual confidence, and a better use of natural resources thanks to the potential of new techniques that are beneficial for both citizens and farmers. sending a cheque when political pressure is too high, but also reflecting carefully on the best ways to use public spending. 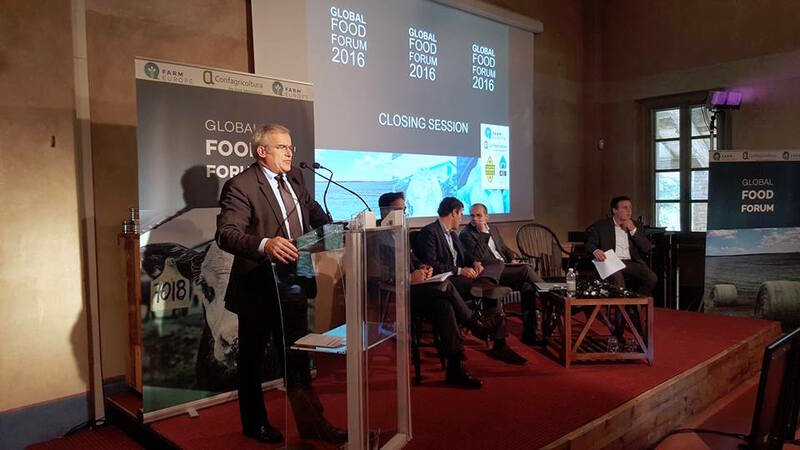 Time has come to table a real economic strategy for EU agriculture and food systems. In doing so we will restore confidence, regain optimism and build future growth. 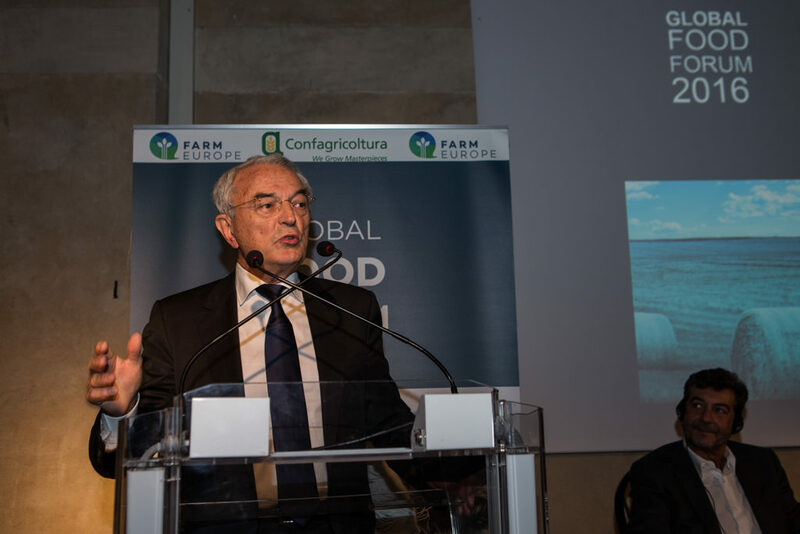 Agriculture needs visibility, predictability and transparency”, stated Mario Guidi, the President of the Global Food Forum and of Confagricoltura, opening the event (full speech here). The ambition of keeping a dynamic agri-food industry all across the EU should be transformed into a new ambition. Over the past 10 years, the productivity of the EU agricultural sector decreased by more than 10%. Europe must not limit its actions to a set of initiatives aiming at accompanying a slowing down of its farming sector. Neither should it accept to limit its ambition to an agriculture of conservation in the most fragile areas. On the contrary, the European policy framework should focus on launching dynamic and targeted economic strategies to revive investments all across the EU food chain. The economic dimension of the Common Agricultural Policy should be renewed. 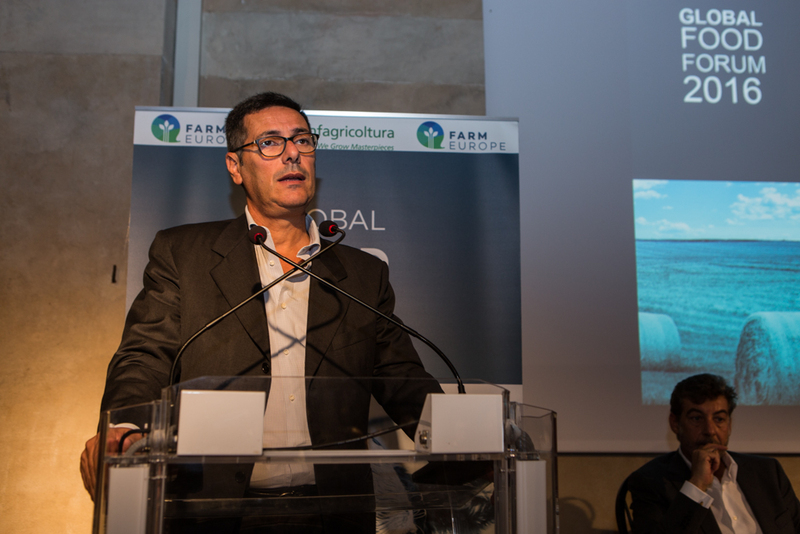 The new strategy should integrate that agriculture will face growing climate and market disturbances in the future. Risk management tools will therefore be necessary to achieve the resilience of the large range of EU agriculture models. This will not be obtained through a single tool at European level, but through a choice of complementary tools, placing farmers at the core of the decisions according to their specific situation and needs. Detailed recommendations on how to improve the resilience of the farming sector have been developed during the Forum. Technological advancements in the agricultural sector create new opportunities for environmental and sustainability policies at the European level. The EU institutions can seize the enormous potential of innovations to build simple and effective policies and reduce the amount of bureaucratic procedures for farmers. The European Union can shift from a prescriptive policy to a real result-based policy that would be complementary with the current greening criteria and based on the will of the farmers themselves (producers could opt for the existing policies or a result-based approach). This new option for the greening requirement would be founded on quantifiable objectives that are adjusted to the knowledge and technical capacities of farmers. 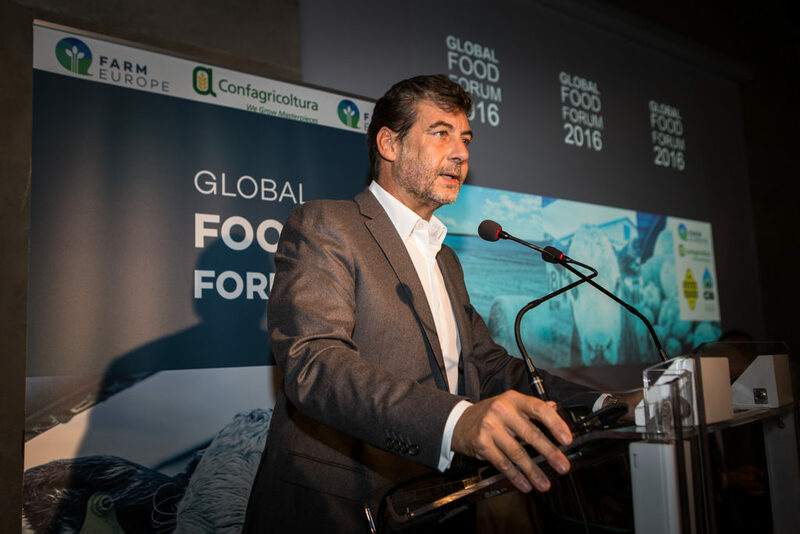 The lack of solidarity is undermining the capacity of the food chain to cope with the challenges of globalisation and investments. The new deal should first reaffirm the prominence of the CAP over general competition rules. This principle should also be applied by national competition authorities. Transparency should be improved, including when it comes to price and volumes at 1st processing level and final consumer level. Contract relations should be encouraged on the basis of clearer rules, allowing collective contract negotiations at Producer organisation level or by Groups of Producer Organisations. In order to encourage cooperation among farmers and food producers, a branch approach for volumes and price negotiation should be explicitly authorised to guarantee a better repartition of the value when prices are both going up or down. These approaches should be seen baring in mind that the relevant markets for the main agricultural products are more often at European scale than national or regional one. When it comes to Unfair Commercial Practices, a clear set of practices should be prohibited, with clear and dissuasive sanction mechanisms, fully securing the identity of the complainants. The European food chain is facing the challenge of finding a harmonious and positive relationship between diet and health. To do this, a number of obstacles must be overcome: a clear and joint strategy on the part of all the actors of the food chain (agriculture, industry, trade) should be defined, the credibility of EFSA as a the pole of excellence and reference of EU legislator should be strengthened, the scientific consensus has to be improved to avoid confusion among consumers and the law should be based on real and credible scientific evidence, not assumptions. In addition, dialogue with Civil Society should be encouraged in order to build a new consensus and go beyond ideological positions. 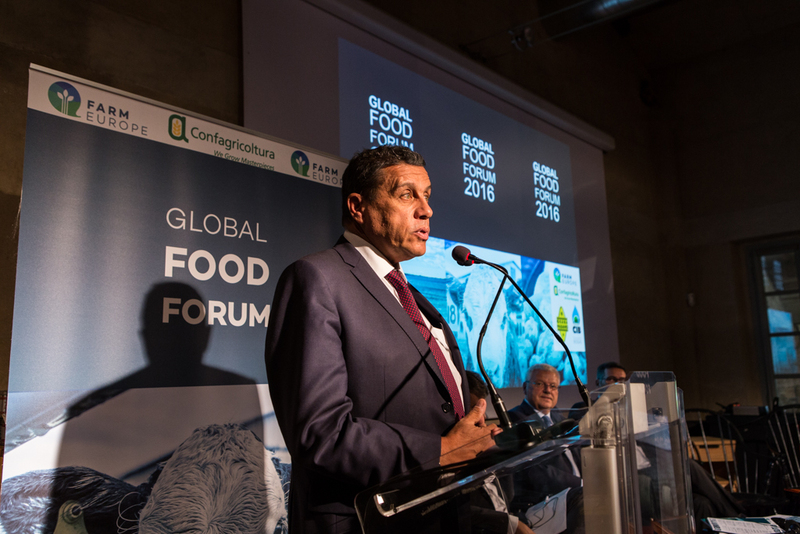 The lack of debate between public and private actors around the issue food and health is unacceptable. This challenge must be tackled seriously, at EU level in order to build trust among the actors and define a real European vision and solutions. Most of the EU countries have substantial trade interests in the UK market when it comes to the agri-food sector. Whatever the result of the EU/UK negotiations, both the internal policy shift in the UK and diverging trade strategies between the EU and UK will lead to medium and long term changes for the EU agri-food sector. This should not be underestimated, even more following the clear commitment of the new British leaders to create the biggest open economy in the world. This strategy will make it difficult to achieve a full free trade agreement between the EU and the UK without any safeguards. The common line for the challenges of Brexit and freer trade is enhanced competition for the EU-27 agri-food sector across the board and a very daunting challenge notably to the beef sector. 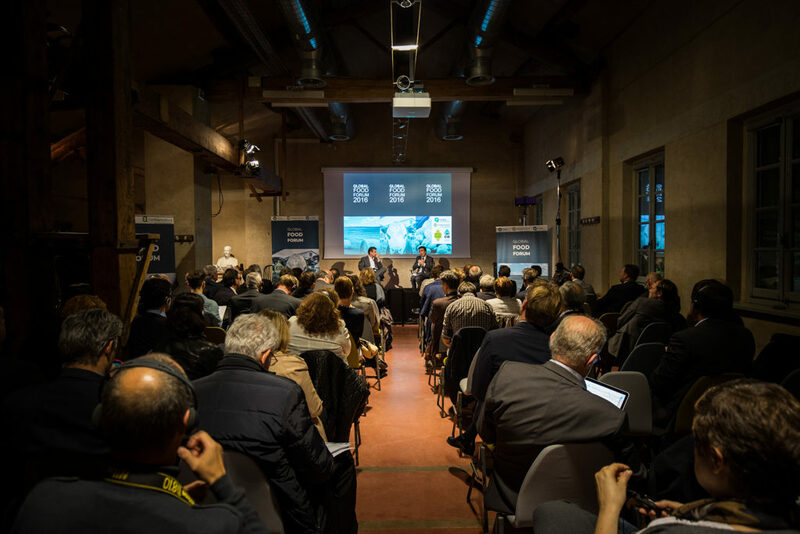 When it comes to the overall EU trade agenda, Brexit may be the occasion to review the way that mandates for negotiations are given to the European Commission, and relaunch the EU trade policy on a new governance, more transparent and thus more acceptable to civil society.